The PAF is completed and routed electronically with each proposal in the eResearch Proposal Management system. The person submitting a proposal must obtain approval of the appropriate Department Head and Dean or Unit Director before sending the proposal to ORSP. More detail about what is covered by the PAF is available, as is information on routing the PAF in the eResearch Proposal Management system. In most cases -- including all Grants.gov applications, ORSP submits the proposal to the intended sponsor electronically. Proposal development and signatures are handled in eResearch Proposal Management, regardless of final submission method. 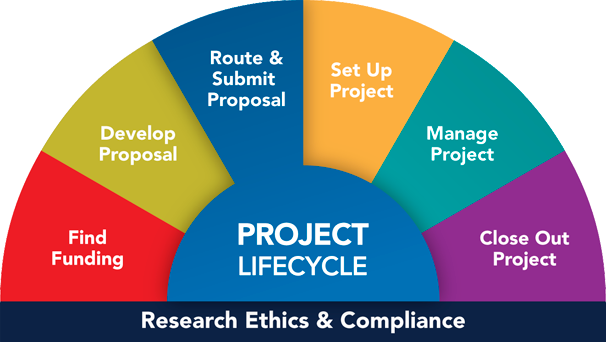 To protect the interests of UM faculty and staff who submit proposals and the interests of the university, any electronic versions of the proposal -- electronic, email, or other -- must be routed to the Office of Research and Sponsored Projects via eRPM. The investigator may then follow the sponsor's submission procedure. If any changes are made to the version being sent, the new version must be re-routed to ORSP. Order of Launch for electronic submissions: ORSP staff will review and launch the proposals in the order they are received. Once ORSP has processed and launched all proposals that arrived at ORSP within the specified deadline, proposals that arrive later will be handled to the best of the staff's ability. Note that problems beyond ORSP control, such as corrupted files or Internet interruptions, may result in proposals not being launched in a timely fashion. It might well be possible that ORSP staff cannot correct or even send a late proposal. ORSP staff will do everything possible to get the proposal to the sponsor on time. However, as the amount of time for processing is reduced, so the chance for insurmountable obstacles increases. Certain parts of the review process are subject to the schedules of other offices. When there is sufficient lead time, ORSP staff can compensate for these problems. Therefore, faculty should make every effort to provide the maximum time possible for ORSP to process and adequately review their proposals. As always, ORSP staff are available for questions, budgetary review, and other administrative help during the proposal preparation period in the weeks prior to the deadline.